Dr. Tomas Aragon is the Health Officer of the City & County of San Francisco, and the Director of the Population Health Division (PHD) at the SF Department of Public Health. As Health Officer, he exercises leadership and legal authority to protect and promote health and health equity. As PHD director, he directs public health services. He teaches epidemiologic computing at the UC Berkeley School of Public Health, and is interested in the complexity and decision sciences to health leadership and organizational performance. He is a fellow in the California Health Care Foundation (CHFC) Leadership Program, and a graduate of the NACCHO Health Officials Survive & Thrive Program. He contributes to the UC Berkeley Health & Medicine Blog. 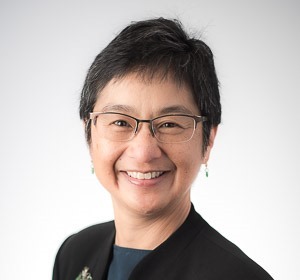 As Chair of the Division of Oral Epidemiology and Dental Public Health in the School of Dentistry, Dr. Lisa Chung teaches 1st and 2nd year dental students, and conducts community-engaged research to improve oral health among pregnant women, children, and underserved populations. She also helps lead the SF Children’s Oral Health Collaborative (now known as CavityFree SF), to implement the citywide Children’s Oral Health Strategic Plan through collective impact. Dr. Chung is committed to improving oral health, as dental caries is the most common chronic childhood disease in children, and yet is almost entirely preventable. With a high prevalence of caries right here in San Francisco, particularly in specific neighborhoods and communities, her work is guided by the idea that given the effective preventive measures we have, there is no reason any child should suffer from the impacts of dental decay. Dr. Chung received a BS from the University of Washington, a DDS from UCSF, and an MPH from UC Berkeley, and plays piano at her local church. Shelby Decosta is the Chief Strategy Officer of UCSF Health, which includes UCSF Medical Center, UCSF Benioff Children’s Hospitals, UCSF Faculty Practice, Langley Porter Psychiatric Hospital and Clinic, UCSF Benioff Children’s Physicians and other entities within the growing health system. As the primary strategy resource for UCSF Health, she is responsible for leading and executing strategic planning and business development functions for UCSF Health and has oversight for relationship development, network development, strategic evaluation of business plans, affiliations, joint ventures and acquisitions and marketing. Prior to this role, she was SVP of mergers, acquisitions and partnerships at Trinity Health (Livonia, MI). Ms. Decosta also served in various strategic planning roles at Dignity Health (San Francisco, CA) including Chief Strategy Officer, Vice President of Business Development & Clinical Integration, and Director of Strategy for the system’s Nevada market and VP Mergers & Acquisitions for the system. Shelby’s experience also includes Southern California Permanente Medical Group (Kaiser Permanente) Regional Service and Access. Ms. Decosta received both her Masters in Healthcare Administration and Bachelor of Science degree in Health Promotion and Disease Prevention/Health Policy and Management at the University of Southern California in Los Angeles, California. 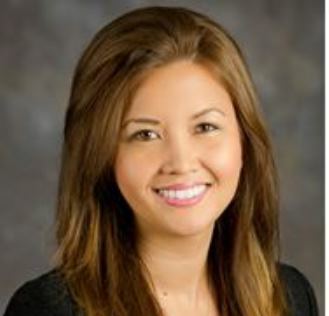 She is a member of the Young Professional Advisory Council for Make-A-Wish Greater Bay Area and previously served on a number of boards including Community Ambulance (Henderson, NV), Dignity Health/United Surgical Partners International, Inc. (Phoenix, AZ) and SMI Imaging LLC (Phoenix, AZ) and The Care Alliance (Livonia, MI). In 2012, she was named one of InBusiness Las Vegas’s “40 under 40” award recipients. Christine Gasparac manages the community relations team and is the primary community relations liaison and advisor at UCSF. 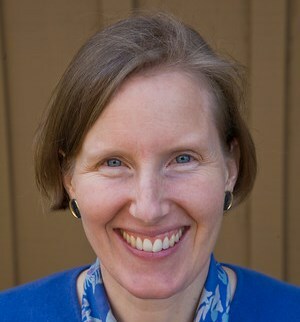 She also manages UCSF’s public process for developing a vegetation management plan for Mount Sutro. Christine brings a wealth of experience in working with the community from her various roles with several elected officials in the Bay Area. Most recently, Christine was the Chief of Staff for a member of the Alameda County Board of Supervisors. Previously, she served as Press Secretary for the California Department of Justice under then-Attorney General Jerry Brown. Christine also worked for the California State Legislature as District Director for State Senator Carole Migden and as Press Secretary for Assemblymember Johan Klehs. She has worked and volunteered for numerous political campaigns and was previously on the staff of a local political consulting firm. Christine earned her Bachelor of Arts degree from Wellesley College. 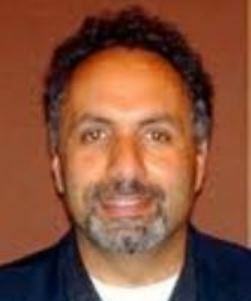 Dr. Jess Ghannam is Clinical Professor of Psychiatry and Global Health Sciences in the School of Medicine at UCSF. His research areas include evaluating the long-term health consequences of war on displaced communities and the psychological and psychiatric effects of armed conflict on children. Dr. Ghannam has developed community health clinics in the Middle East that focus on developing community-based treatment programs for families in crisis. He is also a consultant with the Center for Constitutional Rights and other international NGO's that work with torture survivors. Locally, he works to promote and enhance the health and wellness of refugee, displaced, and immigrant populations from the Middle East and North Africa, and has established a community-based Mental Health Treatment Program to support these communities. At UCSF, Dr. Ghannam develops culturally competency training programs for staff, students and faculty working with patients from the Middle East. He serves on the Chancellor's Council of Campus Climate, Culture and Inclusion. He is past president of the Arab Cultural and Community Center and the American-Arab Anti-Discrimination Committee in San Francisco. Dr. Grumbach is Professor and Chair of Family and Community Medicine at UCSF and Chief of Family and Community Medicine at San Francisco General Hospital. 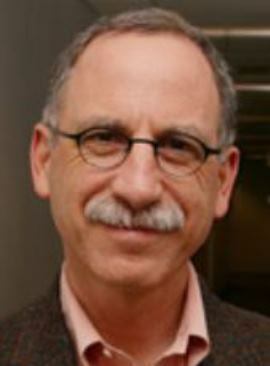 He is the Director of the UCSF Center for California Health Workforce Studies. 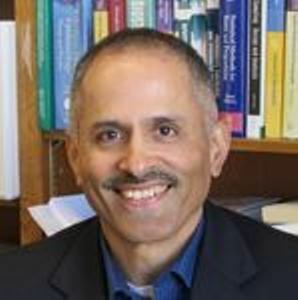 His research on topics such as primary care physician supply and access to care, racial and ethnic diversity in the medical profession, and the impact of managed care on physicians have been published in major medical journals such as the New England Journal of Medicine and the Journal of the American Medical Association (JAMA) and cited widely in both health policy forums and the general media. He co-authored the book, “Understanding Health Policy: A Clinical Approach,” published by Appleton-Lange. Portions of the book have been excerpted in serial form by the JAMA, and the book has become the best-selling textbook on health policy. Dr. Grumbach also is co-chair of the Research Committee of the Bayview Hunters Point Health and Environmental Assessment Task Force, a community-research partnership, and is a founding member of the California Physicians’ Alliance, the California chapter of Physicians for a National Health Program. Artanesha Jackson is a proud native of Oakland, CA and a product of Oakland Public Schools, completing her high school education at McClymonds High School in West Oakland. Artanesha has over fifteen years of direct service experience and has worked at Lincoln Child Center and UCSF Benioff Children's Hospital Oakland (BCHO), Chappell Hayes School-based Clinic as a Clinical Social Worker in Oakland for the last eight years. Artanesha prides herself on being a role model, mentor and a leader in her community. As a Clinical Social Worker, Artanesha worked as a School-Based Clinician working with some of the most vulnerable populations. Her efforts helped to build relationships amongst students, their families and teachers in order to support the development and success of young people. After holding positions within school-based mental health and youth development programs, Artanesha decided that she wanted to make change systemically. As part of BCHO, she found the opportunity within the Department of Community Health and Engagement to combat health inequity by engaging in efforts to shift the paradigm of how medicine is practiced today. Artanesha is currently the Program Manager for FINDconnect, founded and directed by a BCHO pediatrician, Dr. Dayna Long. FINDconnect has been implemented as a standard of care at the BCHO Primary Care Clinic. FINDconnect is an online technology platform created to support the efforts of help desks and community health workers (also known as navigators) in both medical and other community settings to decrease the impact of Social Determinants of Health. Artanesha is responsible for all logistics, including but not limited to, developing curriculum and implementing training for all FIND volunteers and incoming BCHO residents, managing local and national partnerships, drafting/negotiating contracts, providing demonstrations of the FINDconnect tool to potential partners, completing funder reports and leading grant application efforts. After recently joining UCSF’s Center for Community Engagement Council as a member of the Research Committee, Artanesha is excited to expand her advocacy efforts. Artanesha attended the University of California, Berkeley and graduated with her Bachelor of Arts in African American Studies and Social Welfare. During her time at the University of California, Berkeley, Artanesha was engaged with several organizations, working toward the betterment of underrepresented communities and she continues those efforts through her work today. Once completing her undergraduate degree Artanesha took time off from school before attending and graduating from The University of Chicago’s School of Social Service Administration with a Master of Arts degree in Clinical Social Work with a concentration in School Social Work. In 2017, Artanesha completed the Emerging Leaders of Color Leadership Program and was recently accepted into the UCSF Diversity and Inclusion Certificate Program as part of the Fall 2018 cohort. Artanesha is a recently transformed vegan and loves to create new fun recipes. In addition, she is all about connecting with nature and enjoys hiking, biking, roller skating and jogging. 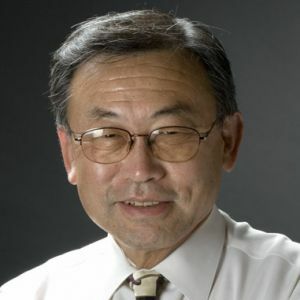 Donald Kishi works with students in relationship to academics, professionalism, professional career, student professional and community service organizations. He also serves as course instructor for a class on basic concepts in pharmacy management, and for an orientation course to expose P1 students to the wide variety of career paths that currently exist as well as future opportunities for pharmacists. Kishi has served as a clinician on a variety of inpatient services at Moffitt-Long Hospitals and in the neurology clinic at ZSFGH, as Vice Chairperson for Clinical Services in the Department of Clinical Pharmacy, as Assistant, Associate and Deputy Director of Pharmaceutical Services at UCSF Medical Center, a presidential officer, member of the Board of Directors and on a variety of committees of the California Society of Health System Pharmacists, and as a member of councils and of the Board of Directors of the American Society of Health System Pharmacists. Kishi is passionate about mentoring, and has been a Pharmacy Practice Residency coordinator/director, as well as an advisor for the Community Outreach Student Alliance—a group that fundraises and oversees the activities of 14 community service informational/educational and screening projects that student pharmacists coordinate concerning diabetes, immunization, hypertension, drug abuse/poison prevention, safe medication disposal, medication safety for geriatric patients/osteoporosis screening, medication safety for pediatric patients, Project Asthma, Tobacco Awareness Project (smoking cessation), Project HIV, Project Brown Bag (review of patient’s current medications for duplication of therapy, drug interactions, etc. ), Science Squad (provides science lessons to students at Rosa Parks Elementary School), and Project AWARE (antibiotic resistance). He received his Pharm.D. from UCSF, and enjoys wine tasting, trying new restaurants, and walking his two dogs every day at 5am and 10pm. 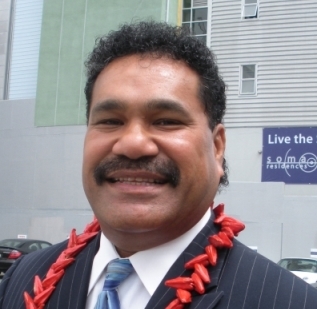 Mr. Palesoo was born and raised in American Samoa, a territory of the United States of America. He has been in the human services field for over 25 years with a master’s degree and certified human services counseling background skills. He began his career in human services as advocate and counselor with Job Train/OICW for 19 years, and currently with API Consulting Network. He was an elected official on the Ravenswood City School District Board of Education for 12 years. An effective Pacific Islander leader, Mr. Palesoo was awarded the Unsung Hero Award for Pacific Islander leadership for two consecutive years and has received recognition by local, state, and federal government for outstanding community services. He completed his military service with honorable discharge by the U.S. Army, including honorable medals for successful military service. Affiliations and membership of the following: PICC Board of Directors, EPA Measure-C Advisory, APALI Fellows Advisory, California API Americans Public Affairs, California API Legislative Advisory Committee. 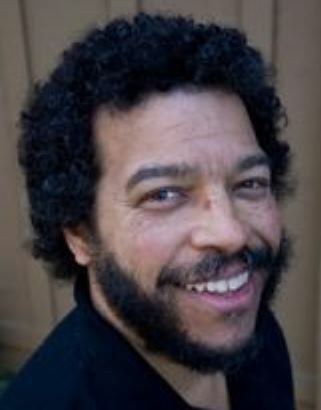 As a faculty member in the Department of Social and Behavioral Science, Dr. Pinderhughes has conducted research and assisted in developing programs aimed at easing race relations among youth, and the intervention and prevention of adolescent violence. Dr. Pinderhughes is currently developing a conceptual framework to address the production of racial, class and gender health inequity. His past research includes a study of racial attitudes among youth and racial violence in New York City; the subject of his book, Race in the Hood: Conflict and Violence Among Urban Youth (1997). Ellie Rossiter brings over 20 years of entrepreneurial, for-profit business management, as well as non-profit social justice organizational management to her current position as initiative officer at The San Francisco Foundation and director of The Partnership for HOPE SF, an initiative which creates opportunities for residents who live in San Francisco’s most distressed public housing. Prior to this position, Ellie was the executive director of Parents for Public Schools, a non-profit community based organization that engages parents from all backgrounds and neighborhoods across San Francisco in advocating for quality public education. Ellie is passionate about strategic, collaborative processes, supporting youth and their families, developing community leaders, and building strong, diverse communities. She has a degree in finance from the University of Oregon. Her two children, who are 5th generation San Franciscans, attend public schools in San Francisco. 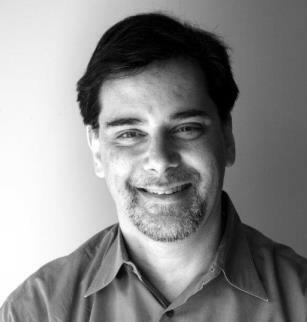 Victor Rubin is Vice President for Research at PolicyLink, a national nonprofit institute for policy change. He has been an urban planning researcher, teacher, and consultant for more than 30 years. 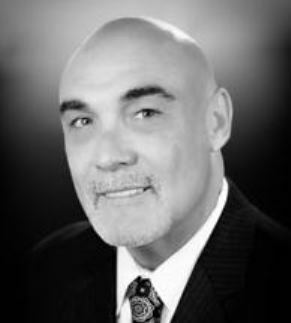 He has been leading local engagements on inclusive economic development strategies in Detroit, Baltimore, and several other cities, and written about these strategies most recently in “Equitable and Inclusive Growth Strategies for American Cities,” a chapter in Shared Prosperity in America’s Communities (S. Wachter and L. Ding, editors, University of Pennsylvania Press, 2016). He is a member of the American Institute of Architects’ Design and Health Leadership Group, the Health and Wellness Advisory Committee of the National Park and Recreation Association, the National Advisory Committee for the RWJF Interdisciplinary Research Leaders Fellowship Program, and the California Planning Roundtable. Victor joined PolicyLink in 2000 after serving as Director of the HUD Office of University Partnerships. He was formerly Adjunct Associate Professor of City and Regional Planning at the University of California, Berkeley, the department where he earned his MCP and Ph.D. He lives in Oakland, a city whose virtues he has appreciated and on whose behalf he has volunteered for more than three decades. Christina Shea is the Deputy Chief/Director of Clinical Services at Richmond Area Multi-Services (RAMS), a comprehensive behavioral health services agency in San Francisco. She oversees the eleven departments, over 30 programs that serve the under-served and under-represented communities. Before that she has served as the Director of Child, Youth & Family Services, providing leadership and effective clinical and administrative fiscal management. Prior to that, for six years she was instrumental in the successful planning, implementation, development and management of the RAMS Fu Yau Project (a collaboration with SFDPH-BHS-CYF Chinatown Child Development Center); a prevention and early intervention mental health services program for the childcare community, which has grown dramatically since its inception. 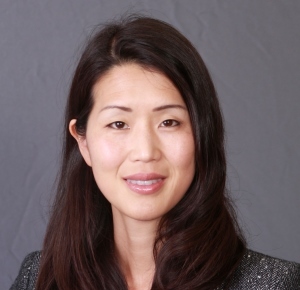 She serves as the co-chair for Asian and Pacific Islander Health Parity Coalition. As a first-generation immigrant from Hong Kong and mother of two young adults, Ms. Shea is personally and professionally aware of the assimilation, acculturation, integration and developmental issues that are prevalent in the population in which RAMS serves. She is a strong advocate for the underserved communities, continuously raises awareness about mental health issues, diligently works on efforts to address barriers of access to services, and is passionate about mentoring and promoting the next generation of bilingual and bicultural clinicians. Ms. Shea is a licensed Marriage and Family Therapist, and has been working clinically and administratively in the mental health field for three decades. She received her Bachelor of Science degree in Human Development from University of California at Davis and her Master of Science degree in Clinical Counseling with an emphasis on Marriage, Family and Child Counseling from California State University at Hayward. She has worked clinically with diverse populations - African Americans, Asian Americans, Chinese immigrants and refugees from South East Asia, China, Hong Kong, and Taiwan, adults, adolescents, children, and families. In her spare time, Christina likes to practice for and compete in dragon boat races all over California and the West coast. Marie Sturgell is a real estate consultant whose mission is to help individuals achieve bridging the wealth legacy gap through homeownership. Marie's passion is educating the communties that she serves by changing the narrative through STEM education and financial literacy. Marie is the proud parent of a son and daughter - both college graduates, ages 22 and 31. She currently resides in San Francisco CA. 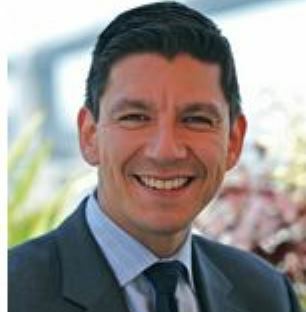 Joaquín Torres is the current Deputy Director at the San Francisco Office of Economic and Workforce Development where he leads Mayor Lee's Invest In Neighborhoods Initiative, leveraging city resources across city departments to maximize positive economic and social impact in our neighborhoods. Prior to his recent appointment, Joaquin served as Director of the Mayor's Office of Neighborhood Services (MONS) under Mayor Edwin M. Lee. Under former Mayor Gavin Newsom, Joaquín served as the Liaison to the Latino and American Indian communities and to districts nine and eleven. Joaquín is a graduate of Stanford University and New York University's Tisch School of the Arts. He lives in Bernal Heights. Kevin Truitt currently serves as the Chief of Student, Family & Community Support Division of the San Francisco Unified School District, where he directs and supervises the offices of School Health Programs, Pupil Services, Middle and High School Counseling, Post-Secondary Success, City and CBO Partnerships, Family and Community Engagement, Afterschool Programs and Athletics. Kevin gained his expertise in school leadership as a Principal in San Francisco Unified at the elementary, middle and high school levels spanning eleven years. Now in his 32nd year in public education, Kevin began his career in education as a middle school mathematics teacher in South Central Los Angeles for twelve years. Kevin credits his teaching experience in L.A. as the driving force behind his passion for achieving equity in education and ensuring that ALL children are provided with the opportunities and support they need to realize their full potential and achieve success. Kevin is an enthusiastic traveler and enjoys finding great hiking trails all over the world. During his most recent trip to New Zealand, Kevin started the vacation by jumping off the Sky Tower in Auckland! A doctor and a teacher, Dr. Wortis provides primary care for patients of all ages at the SFGH Family Health Center, and teaches medical students and residents about clinical care and the role they can play engaging with communities to promote health equity and social justice. She was Co-founder of the CCE’s two predecessors: the Department of Family and Community Medicine’s Community Partnership Resource Center and UCSF’s Office of University Community Partnerships. Dr. Wortis also develops service-learning curricula and mentors students and residents on community-engaged work, particularly in Bayview Hunters Point, the Mission, and Visitacion Valley. Prior to joining UCSF’s faculty, she served as a primary care provider at Silver Avenue Family Health Center and its satellite, the Hawkins Clinic in Visitacion Valley. Before becoming a doctor, she was a public health Peace Corps Volunteer in Zaire (now the Democratic Republic of Congo), and she started a community health worker training program at Martha Eliot Health Center in Jamaica Plain, MA. Dr. Wortis has always been passionate about health equity, social justice, and providing high quality primary care for diverse patients, but feels that is not enough. She believes health care professionals can have more impact if they incorporate community engagement and social advocacy into their work, and wants to be part of training a healthcare workforce that will better reflect the diverse communities we serve. Dr. Wortis has a BA in Biochemistry, an MD from Harvard Medical School, and completed her residency in Family & Community Medicine at UCSF-SFGH. She met her husband racing sailboats on San Francisco Bay.